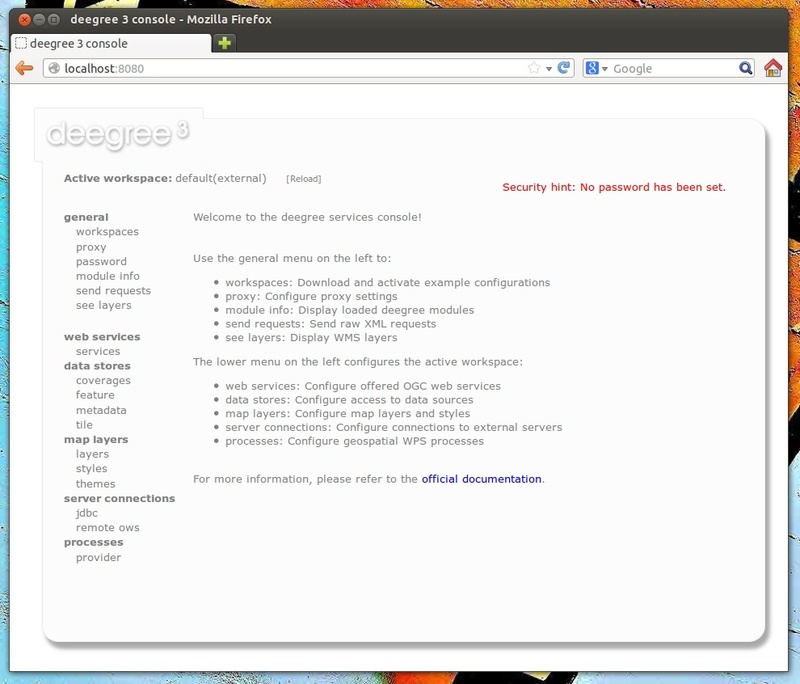 In the previous chapter, you learned how to install and start deegree webservices. In this chapter, we will introduce the deegree service console and learn how to use it to perform basic tasks such as downloading and activating example configurations. In deegree terminology, a complete configuration for a deegree instance is called “deegree workspace”. The following chapters describe the structure and the aspects of the deegree workspace in detail. For the remainder of this chapter, just think of a deegree workspace as a directory of configuration files that contains a complete configuration for a deegree webservice instance. 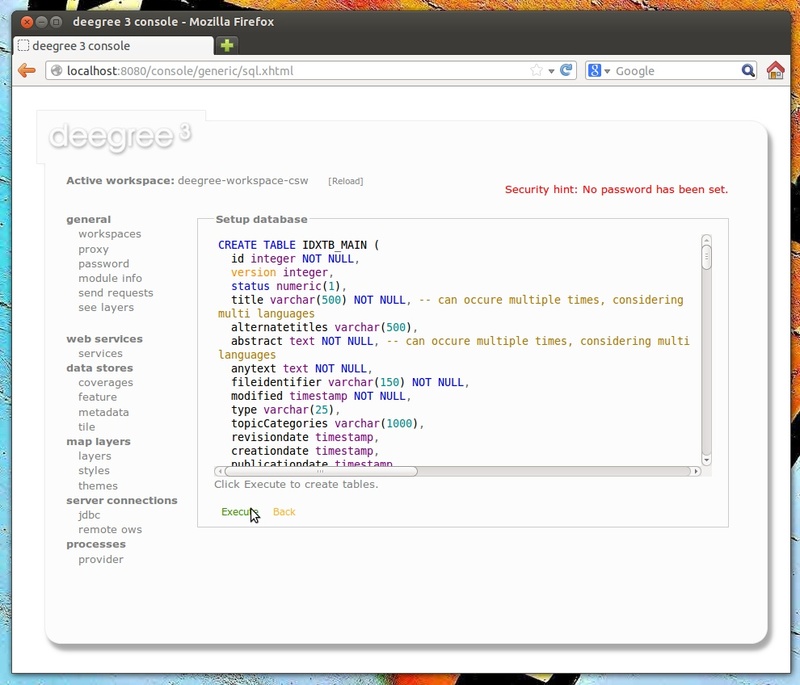 You may have multiple deegree workspaces on your machine, but only a single workspace can be active. If you’re not running the ZIP version, but deployed the WAR version into a web container, you most probably will have to use a different URL for accessing the console, e.g. 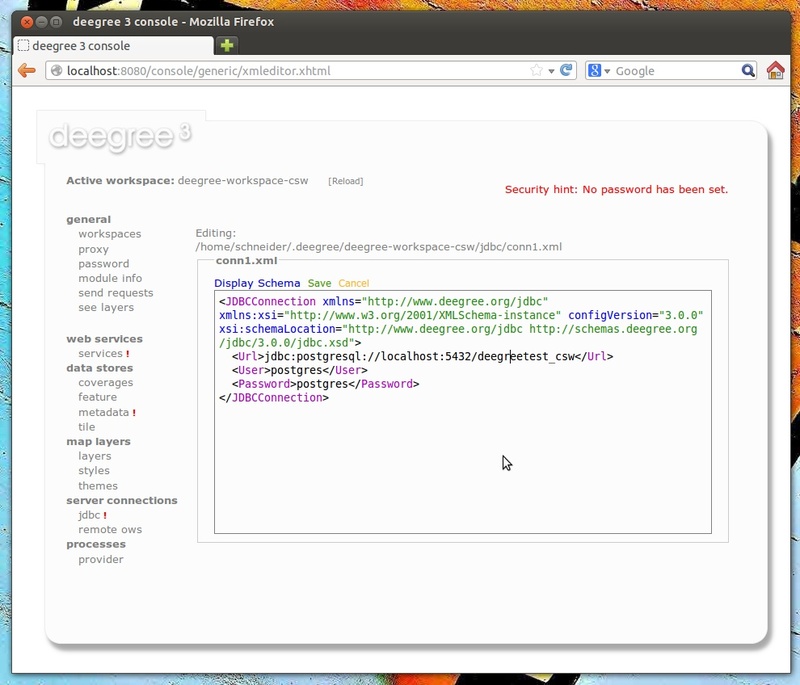 http://localhost:8080/deegree-webservices-3.3.20. 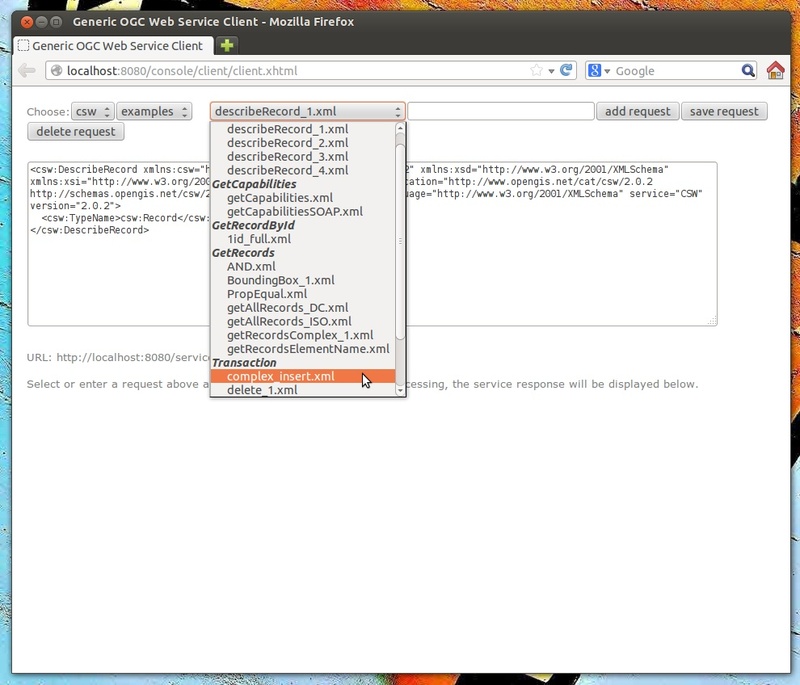 The port number and webapp name depend on your installation/deployment details. 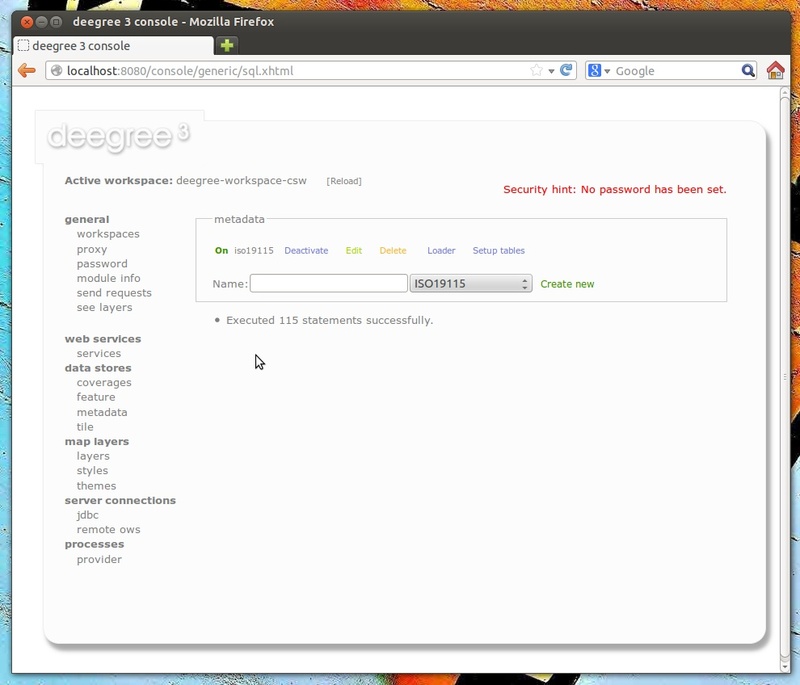 You can access the service console from other machines on your network by exchanging localhost with the name or IP address of the machine that runs deegree webservices. If the machine running deegree webservices uses a proxy to access the internet and you don’t see any available example configurations, you will probably have to configure the proxy settings. Ask your network administrator for details and use the proxy link to setup deegree’s proxy settings. If you click Import, the corresponding example workspace will be fetched from the artifact repository of the deegree project and extracted in your deegree workspaces folder. Depending on the workspace and your internet connection, this may take a while (the Utah workspace is the largest one and about 70 MB in size). You can now activate the downloaded workspace by clicking Start. Again, this may take a bit, as it may require some initialization. 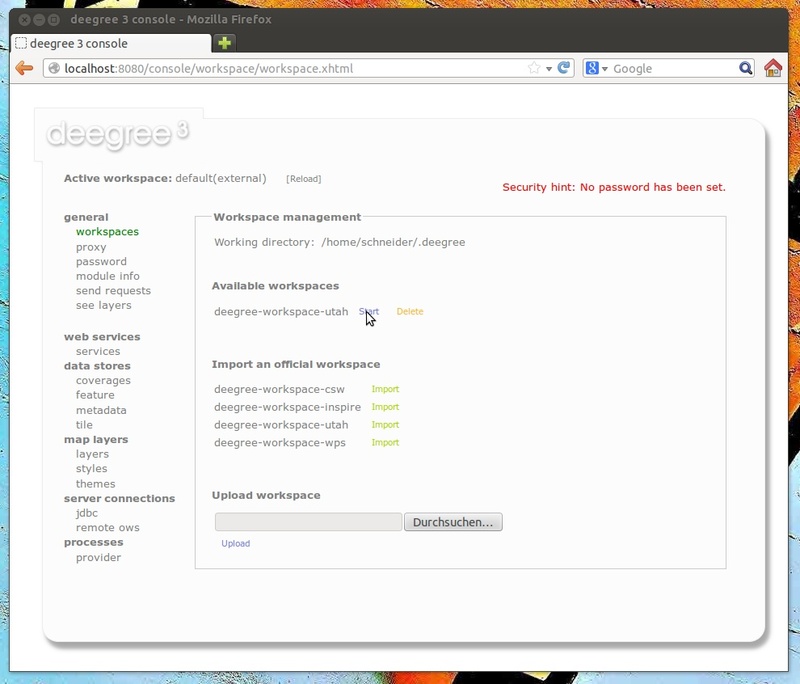 The workspace will be removed from the list of inactive workspaces and displayed next to “Active workspace:” (below the deegree logo). Your deegree instance is now running the configuration that is contained in the downloaded workspace. This workspace is a basic INSPIRE View and Download Services setup. It contains a transactional WFS (2.0.0 and 1.1.0) configured for all Annex I Data Themes and a WMS (1.3.0 and 1.1.1) that is configured for three layers from three Annex I Data Themes. The workspace contains some harmonized dutch base data for Administrative Units, Cadastral Parcels and Addresses. 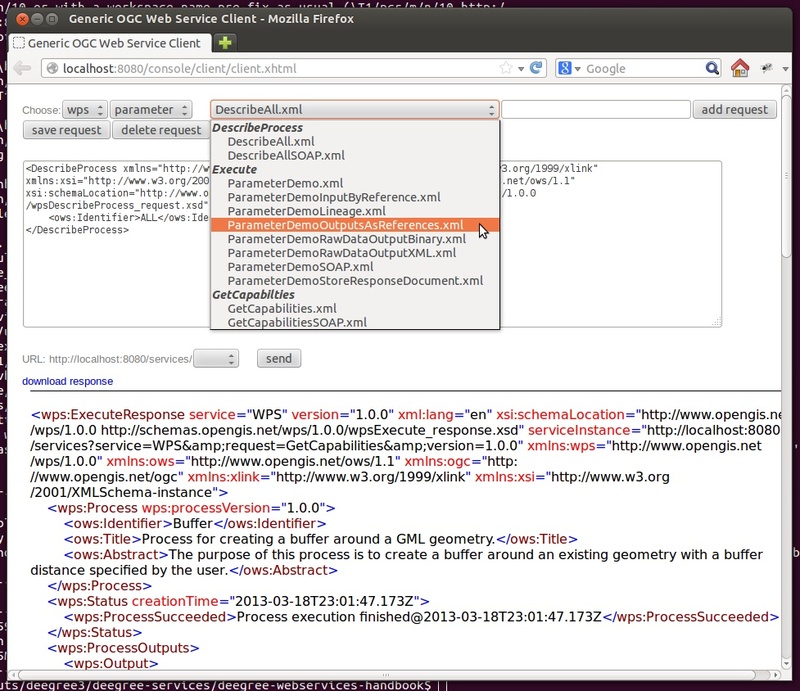 The WFS is configured to behave as an INSPIRE Download service (Direct Access) that delivers the base data as valid, harmonized INSPIRE GML and supports rich querying facilities. This workspace is pre-configured to load harmonized INSPIRE features from GML files into memory, but can easily be adapted to use PostGIS, Oracle Spatial or Microsoft SQL Server databases as storage backend (see Auto-generating a mapping configuration and tables and SQL feature store). After downloading and activating the “deegree-workspace-inspire” workspace, you can click the see layers link, which opens a simple map client that displays a base map (not rendered by deegree, but loaded from the OpenStreetMap servers). Click the + on the right to see a list of available layers. You can now tick the INSPIRE layers offered by the deegree WMS. 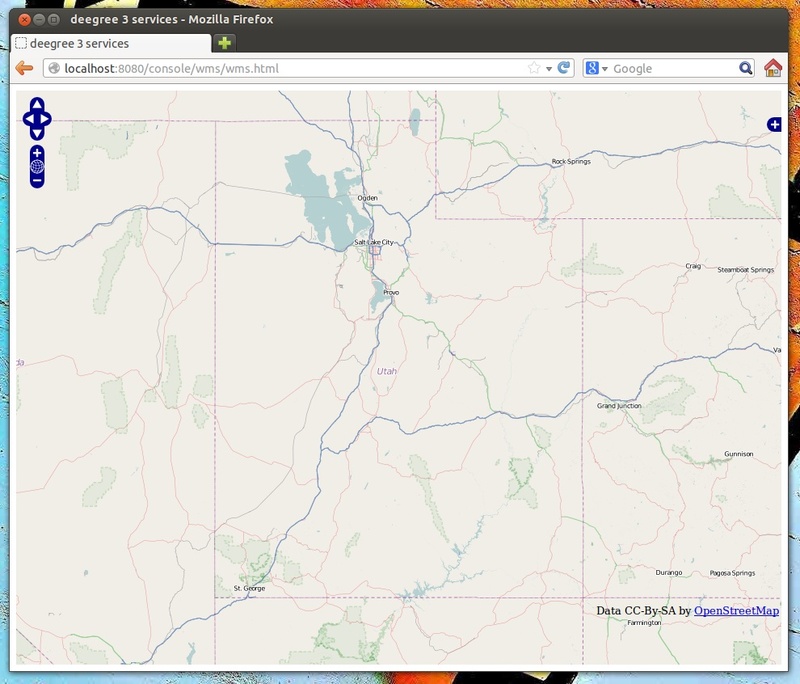 The map client is based on OpenLayers. Drag the map by holding the mouse button and moving your mouse. Zoom using the controls on the left or with the mouse wheel. Alternatively, you can open a zoom rectangle by holding the SHIFT key and clicking the mouse button in the map area. This workspace is a good starting point for implementing scalable and compliant INSPIRE View and/or Download Services. It can easily be adapted to use PostGIS, Oracle Spatial or Microsoft SQL Server databases as storage backend (see Auto-generating a mapping configuration and tables and SQL feature store). 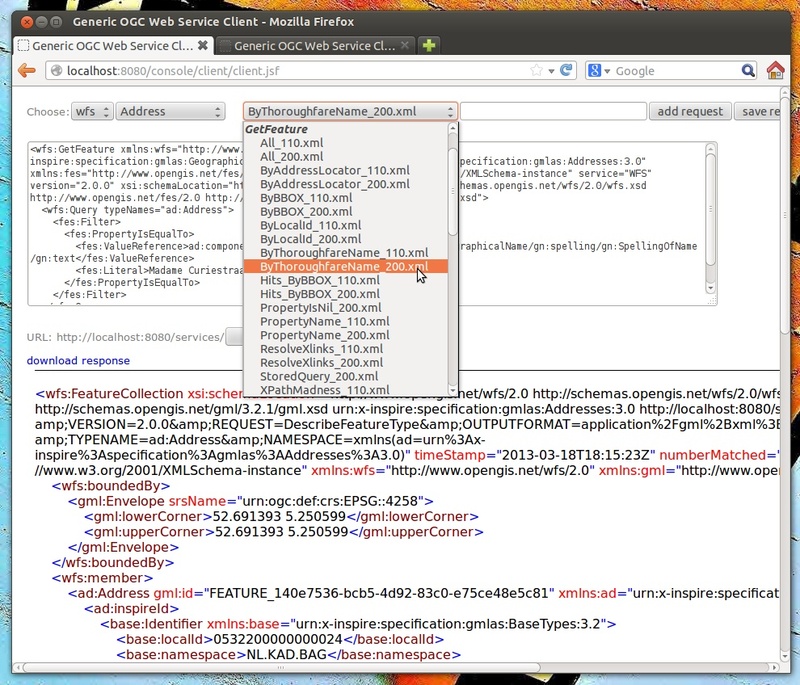 Other things you may want to adapt is the configuration of Map layers, the Map styles or the reported Metadata. You can also delete features using WFS transactions. After deletion, they will not be rendered anymore as WMS and WFS operate on the same feature store. 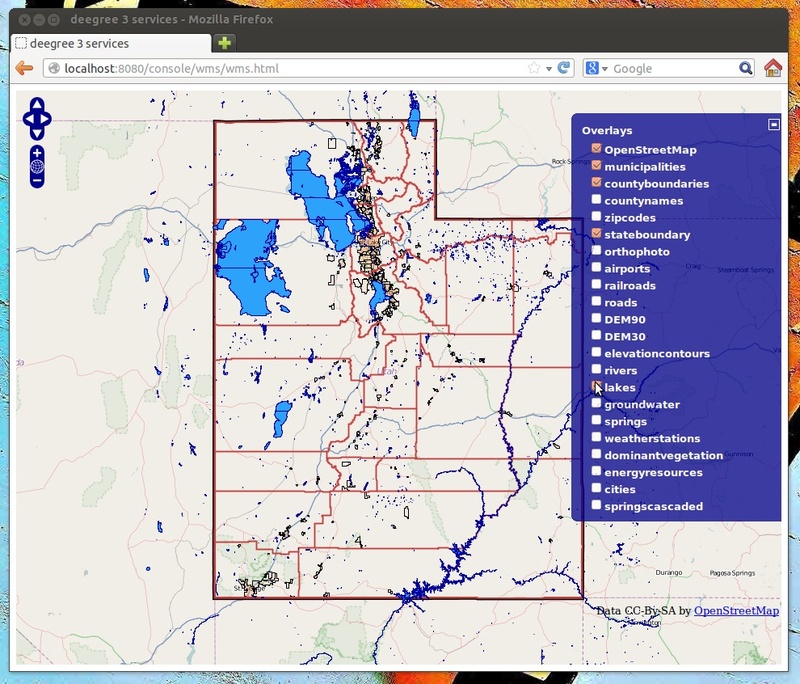 The Utah example workspace contains a web mapping setup based on data from the state of Utah. It contains a WMS configuration (1.3.0 and 1.1.1) with some raster and vector layers and some nice render styles. Raster data is read from GeoTIFF files, vector data is backed by shapefiles. 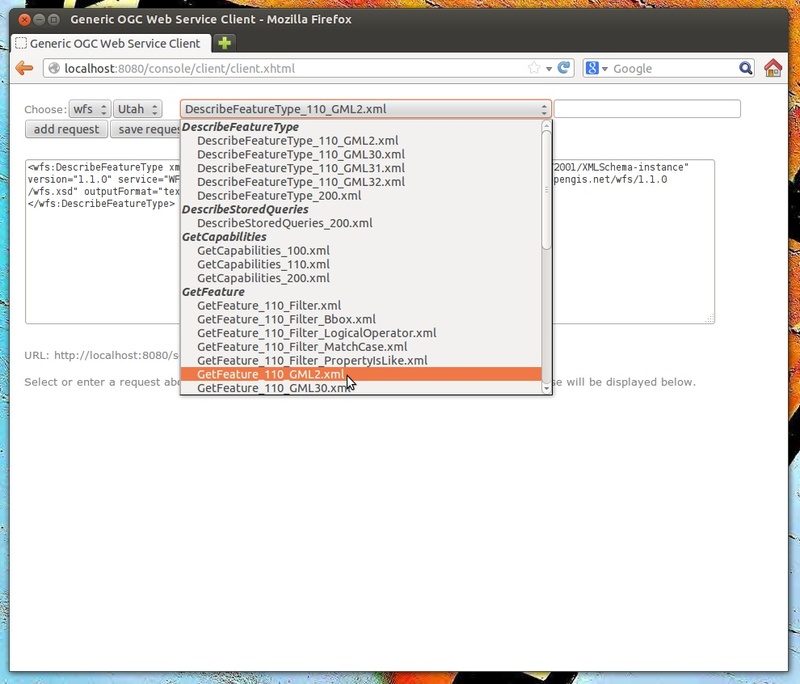 Additionally, a WFS (2.0.0, 1.1.0 and 1.0.0) is configured that allows to access the raw vector data in GML format. 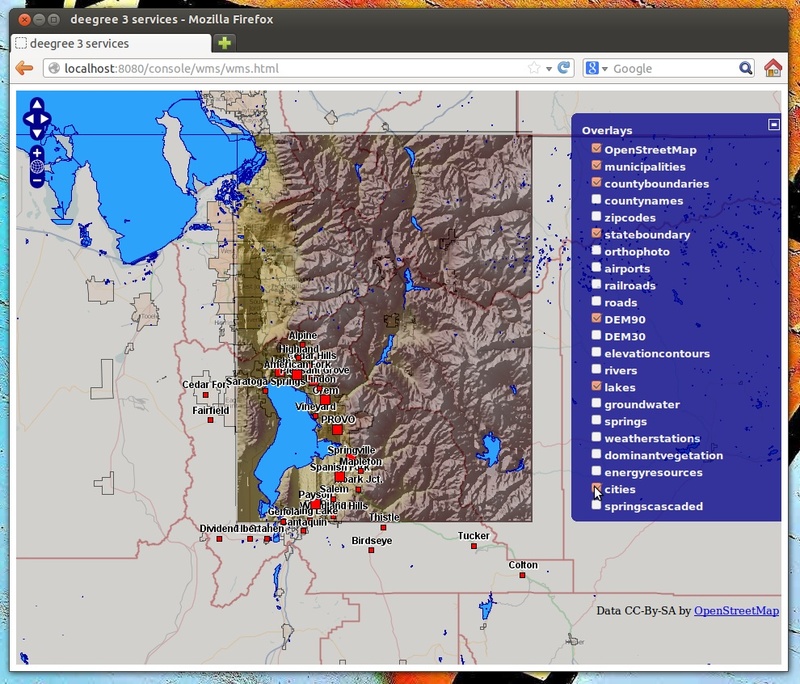 After downloading and activating the “deegree-workspace-utah” workspace, you can click on the see layers link, which opens a simple map client that displays a base map (not rendered by deegree, but loaded from the OpenStreetMap servers). Click the + on the right to see a list of available layers. Tick the ones you want to see. They will be rendered by your deegree webservices instance. In order to send requests against the WFS, you may use the send requests link in the service console (you may need to go back in your browser first). 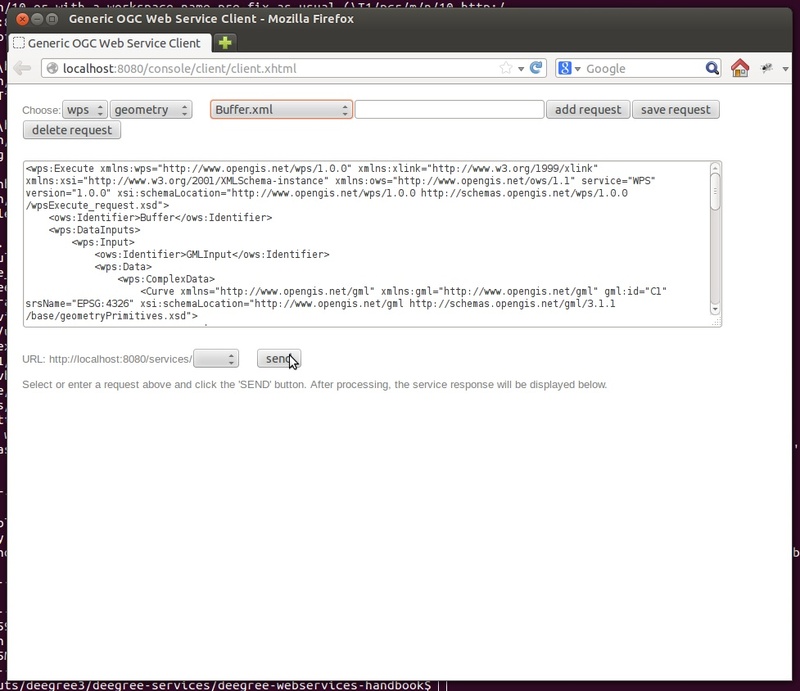 A simple interface for sending XML requests will open up. This interface is meant for accessing OGC web services on the protocol level and contains some reasonable example requests. 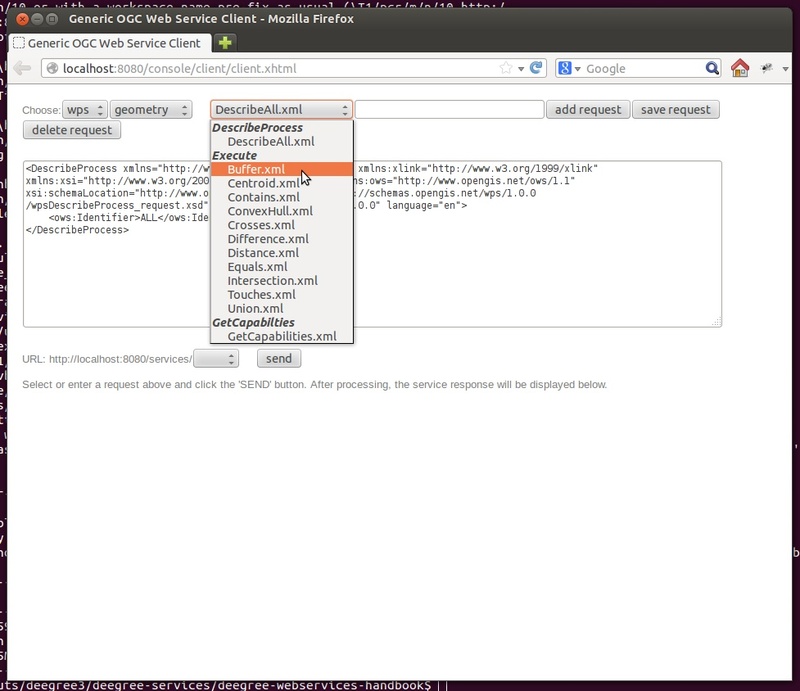 Select one of the example requests from the third drop-down menu and click Send. The server response will be displayed in the lower section. 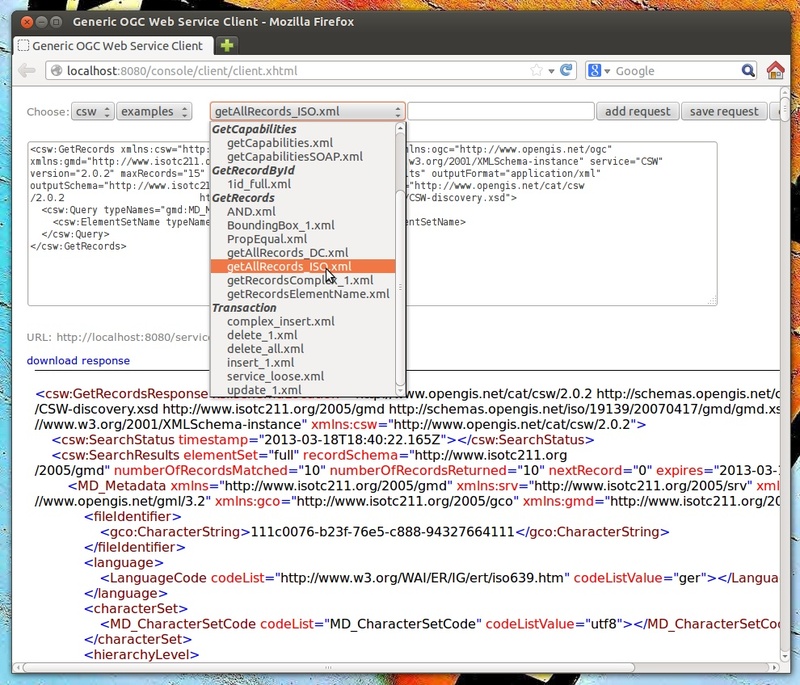 WFS request types and their format are specified in the OGC Web Feature Service specification. Instead of using the built-in layer preview or the generic OGC client, you may use any compliant OGC client for accessing the WMS and WFS. Successfully tested desktop clients include Quantum GIS (install WFS plugin for accessing WFS), uDig, OpenJUMP and deegree iGeoDesktop. The service address to enter in your client is: http://localhost:8080/services. 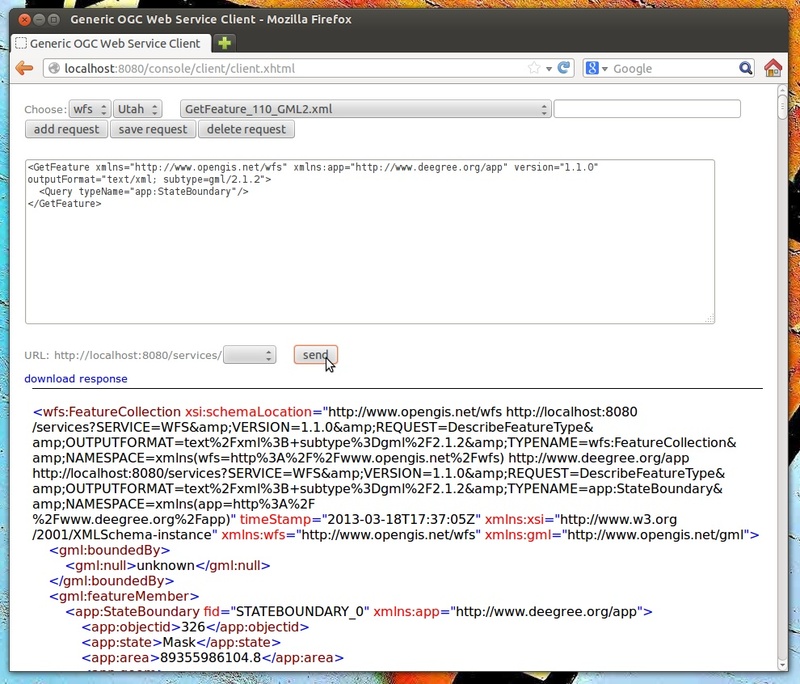 This workspace contains a catalogue service (CSW) setup that complies to the ISO Application Profile. 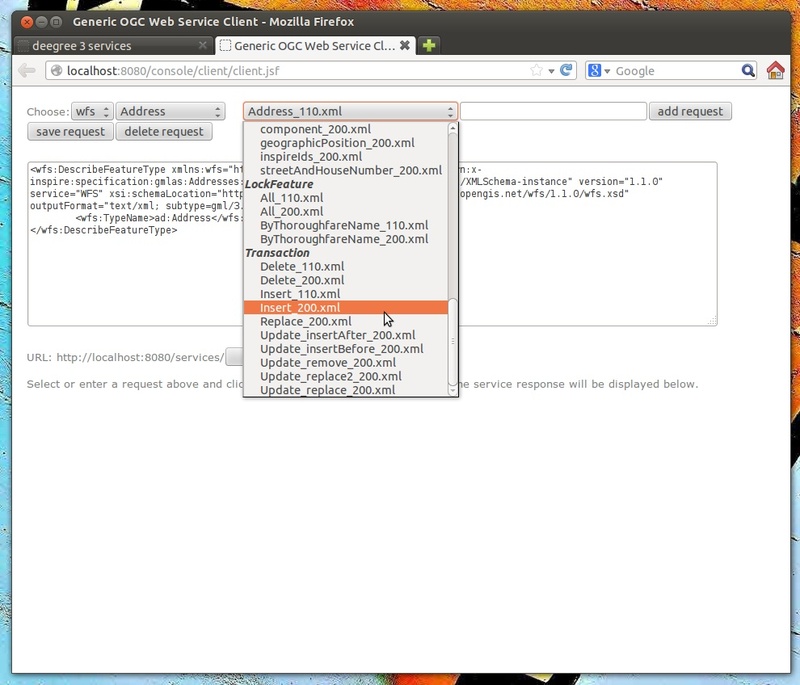 After downloading and starting it, you will have to setup tables in a PostGIS database first. You will need to have an empty and spatially-enabled PostGIS database handy that can be accessed from the machine that runs deegree webservices. 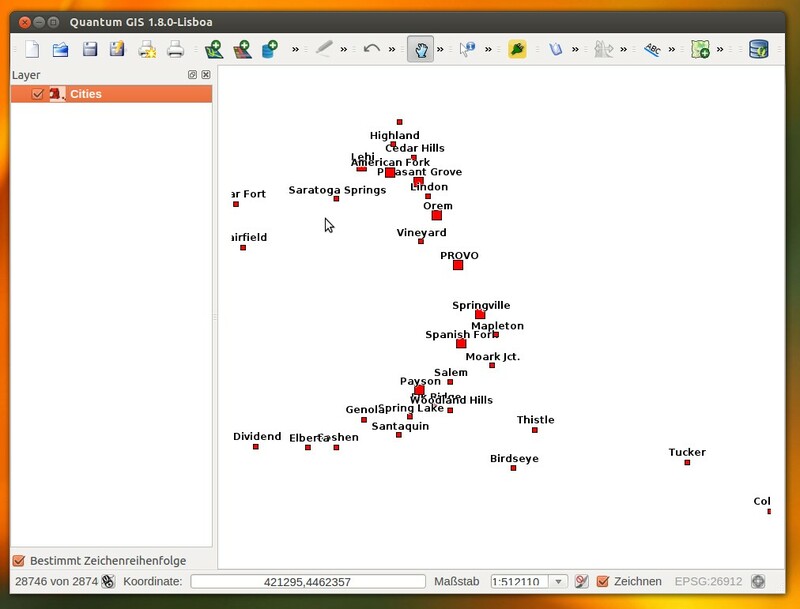 Instead of PostGIS, you can also use the workspace with an Oracle Spatial or a Microsoft SQL Server database. In order to enable support for these databases, see Adding database modules. 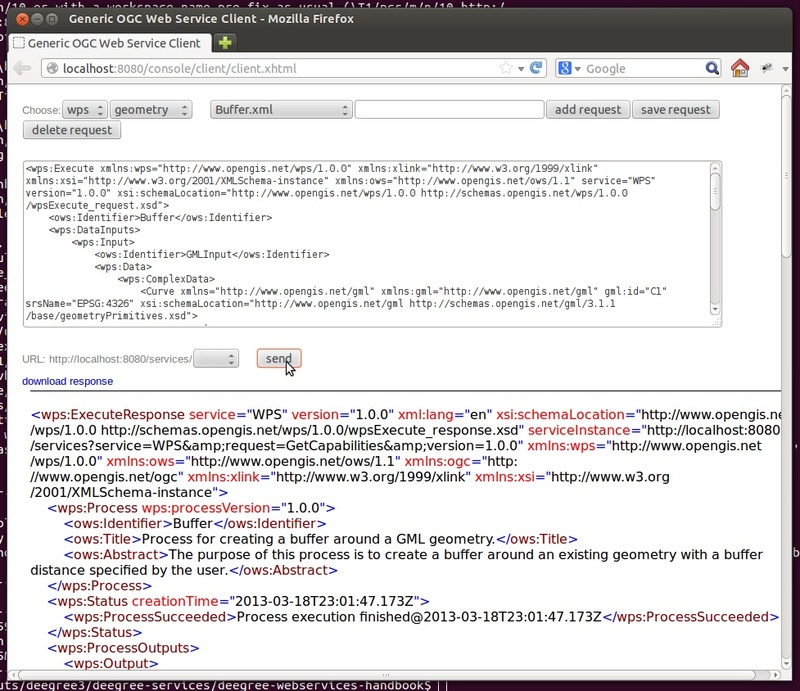 WPS request types and their format are specified in the OGC Web Processing Service specification. 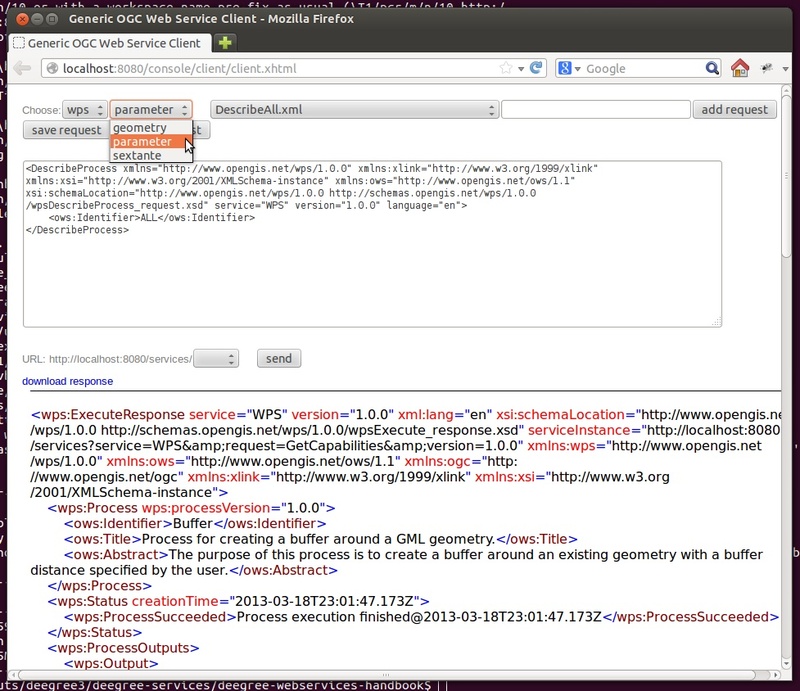 In order to add your own processes, see Web Processing Service (WPS) and Process providers.